Astronomers are excited about this SOFIA research because there have been very few previous direct observations of collapse motion. These SOFIA observations have enabled scientists to confirm theoretical models about how interstellar clouds collapse to become stars and the pace at which they collapse. Actually observing this collapse, called “infall,” is extremely challenging because it happens relatively quickly in astronomical terms. 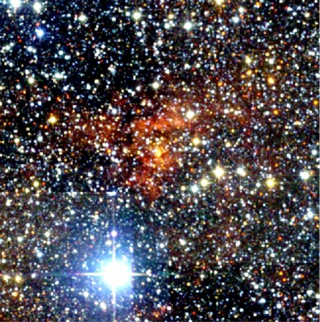 “Detecting infall in protostars is very difficult to observe, but is critical to confirm our overall understanding of star formation,” said Universities Space Research Association’s Erick Young, SOFIA Science Mission Operations director. Using the observatory’s GREAT instrument, the German Receiver for Astronomy at Terahertz Frequencies, scientists searched for this developmental stage in nine embryonic stars, called protostars, by measuring the motions of the material within them. They found that six of the nine protostars were actively collapsing, adding substantially to the previous list of less than a dozen protostars directly determined to be in this infall stage. For several weeks each year, the SOFIA team operates from Christchurch, New Zealand, to study objects best observed from southern latitudes, including the complete center of the Milky Way where many star-forming regions are located. Heading south during the Southern Hemisphere’s winter months, when the nights are long and infrared-blocking water vapor is especially low, also creates prime observing conditions. “With the Southern Hemisphere deployments of SOFIA, the full inner Milky Way comes into reach for star formation studies. This is crucial for observations of the earliest phases of high-mass star formation, since this is a relatively rapid and rare event,” said Friedrich Wyrowski, astronomer at the Max-Planck Institute for Radio Astronomy in Bonn, Germany. The results were from observations made in the Southern Hemisphere in 2015, and were published in Astronomy and Astrophysics earlier this year. SOFIA spent seven weeks during 2016 observing from Christchurch. The scientific teams involved in the Southern Hemisphere observations are analyzing the acquired data now.